A little late start to throwback week, but better late than never! Again, I notice this week I gravitate toward polishes releases in 2010-2011. I think those were the golden years as far as mainstream nail polish goes. I have one today from China Glaze's fall 2011 collection. 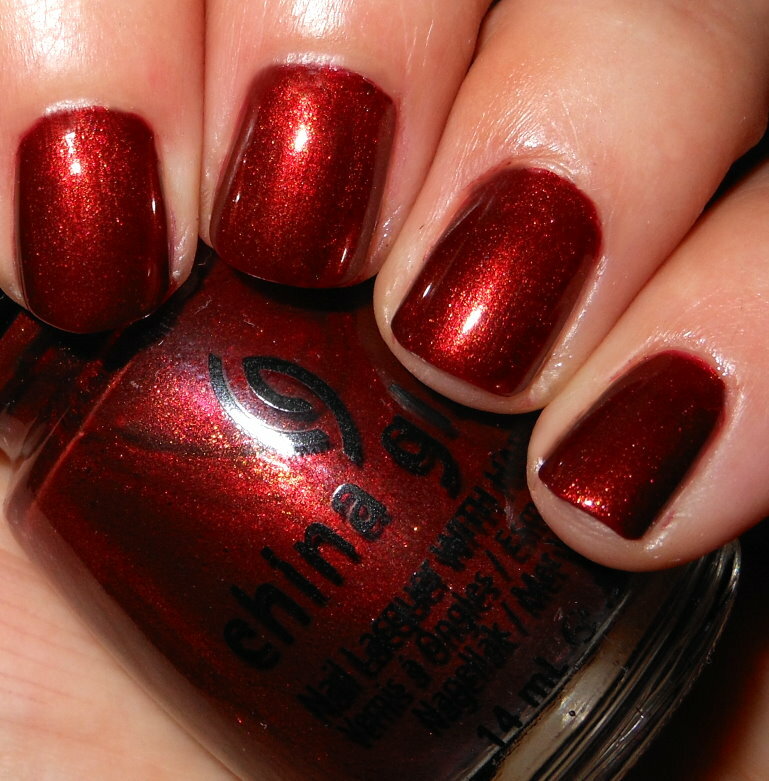 Foxy is a rusty red with golden-copper flecked shimmer. Color: This is the absolute perfect fall red. I love reds like this in fall. This is has some of those warm brown tones added to it that really warm and spice up this red shade. The shimmer is great, it borders on frosty, but I don't think in a bad way. It gives this color a neat metallic effect. Formula: Nice formula. I used 2 coats. Price: You can still find this one online usually in the $4-$8 range. Overall: I love Foxy. It's a color I break out every year when I'm craving a fall red. 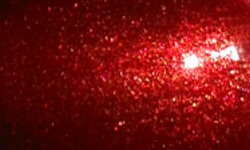 It's a beautiful glowing red that never goes out of style for me.